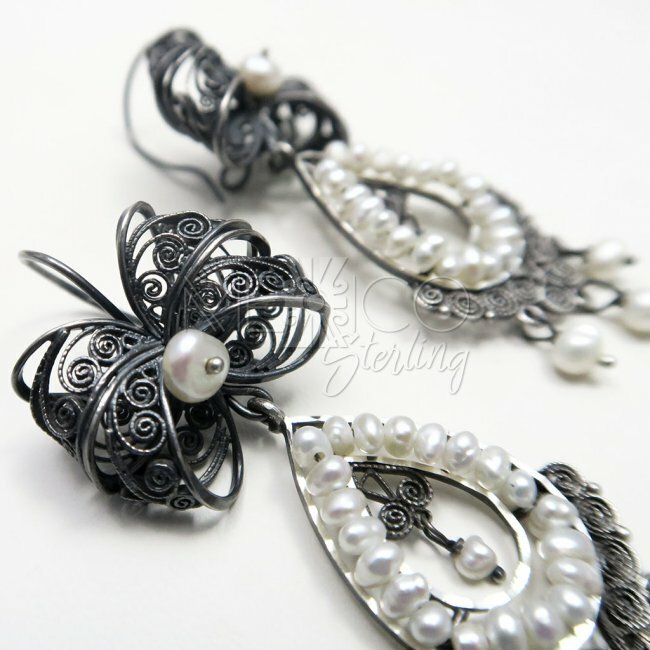 Silver Filigree Flirty Ribbon Earrings [EAR3372] - $140.00 : Mexico Sterling Silver Jewelry, Proundly from Mexico to the world. 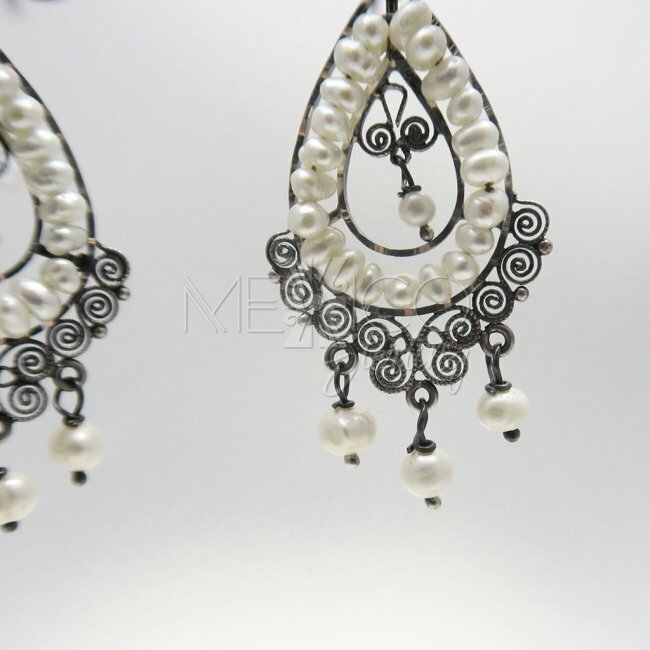 Dimensions: W: 1" L: 2 5/8"
Feminine sterling silver fligree dangle earrings from Oaxaca, Mexico. 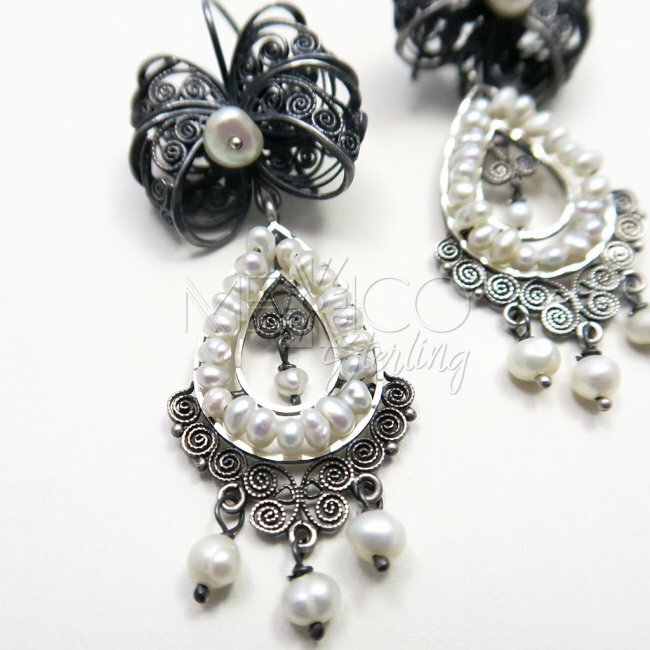 These wonderful silver earrings are completely handmade by Mexican artisans. 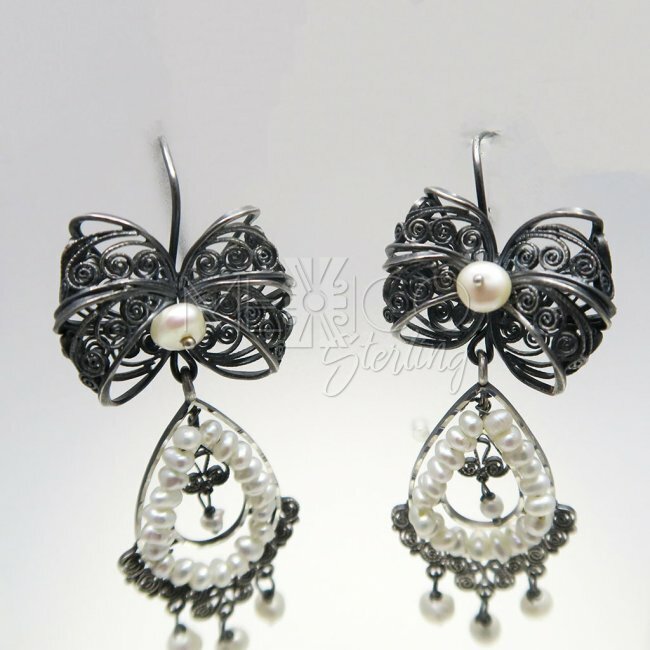 They carry such a special charm that is well known in the Mexican silver jewelry;ry designs. 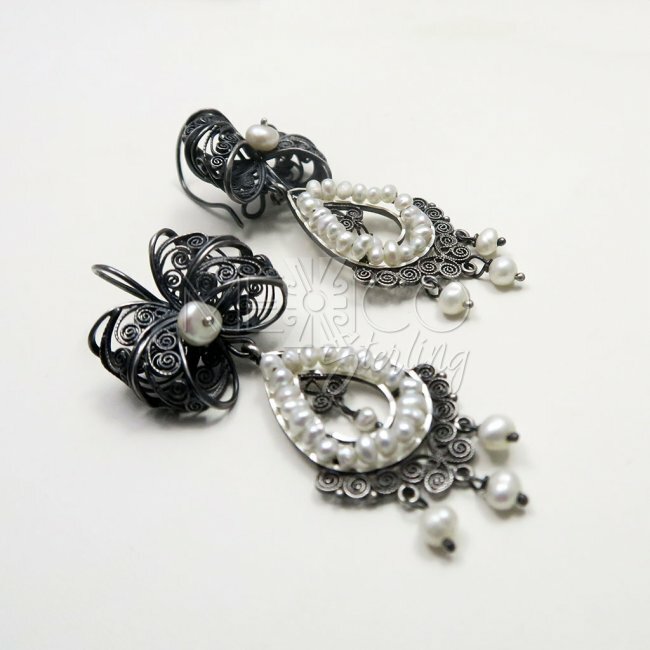 The filigree work on these pieces is extraordinary, if you consider that every single swirl, every shape is handcrafted with delicate strands of silver. 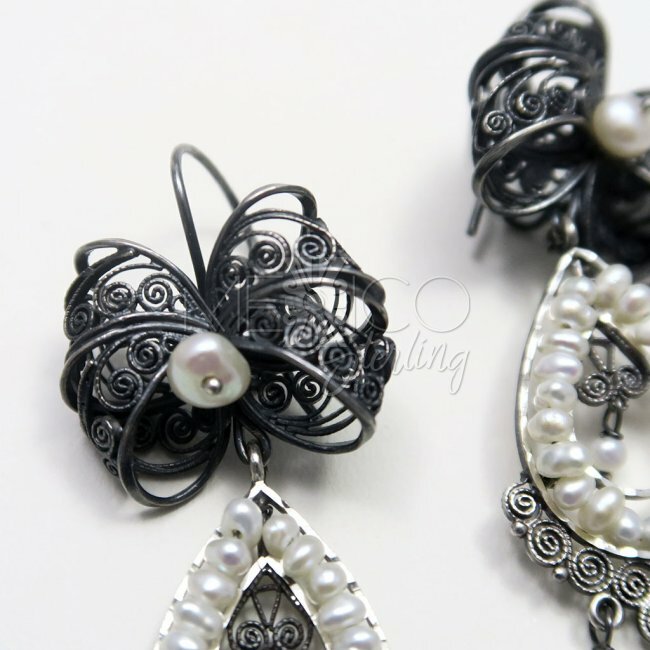 Each earring require several days and sometimes weeks to finish. 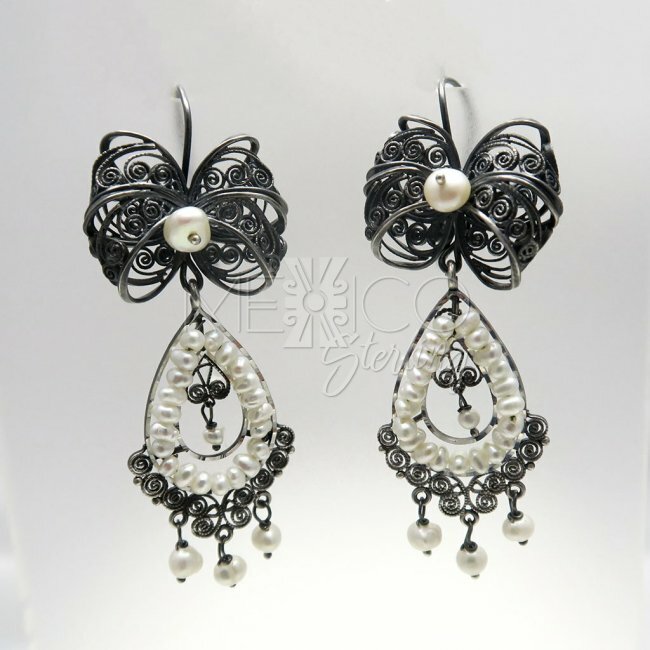 They are beautifully crafted and finished, from top to bottom with oxidized silver, to create a nice contrast and/or a vintage look. 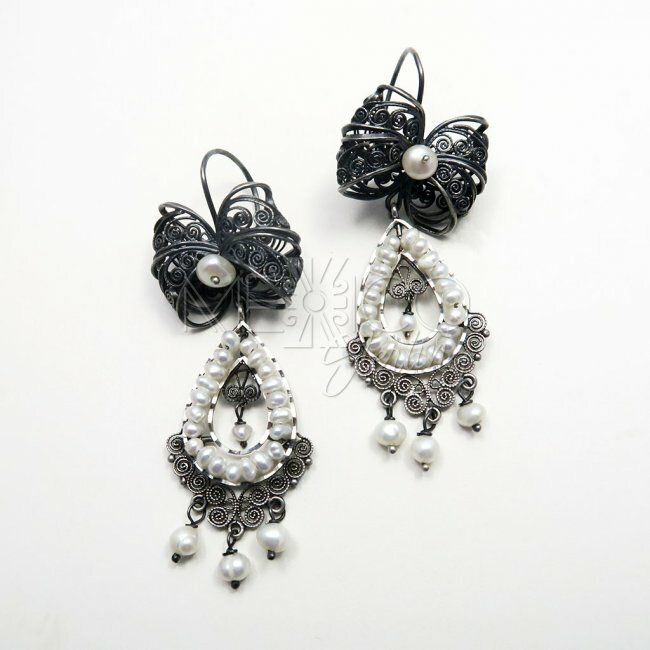 They are also very sturdy with a strong built. 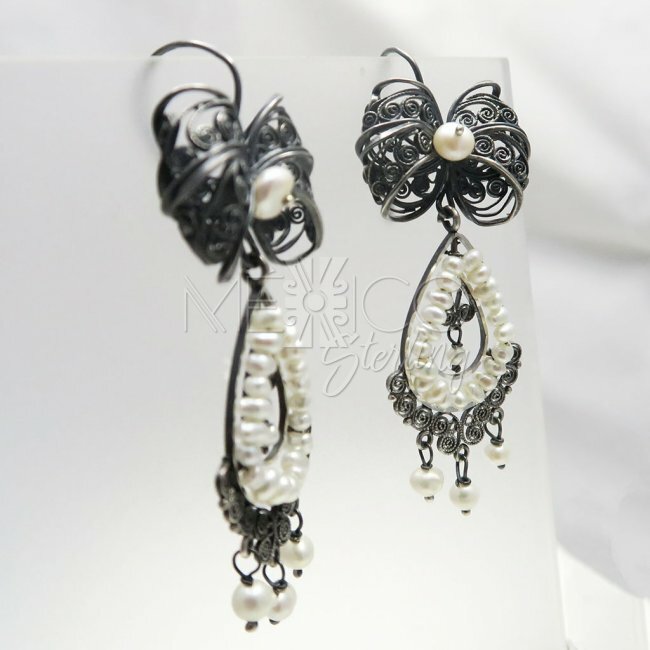 I also would like to mention that all the beads on these pieces are natural, real pearls.